Acupuncture is one of those natural remedies that has a lot of different reviews. Some people swear by it. My mother loves it and goes because it has decreased her migraines considerably, her husband has had improvements in his liver function. My sister and I have experienced no changes whenever we’ve gone. I gave up on it because I wasn’t seeing results for my migraines. There is a lot of scientific research out there that shows that acupuncture is a type of placebo drug. In other words, acupuncture works because patients start to feel better because they expect to feel better. Some science thinks this means acupuncture is ‘mind over matter’. 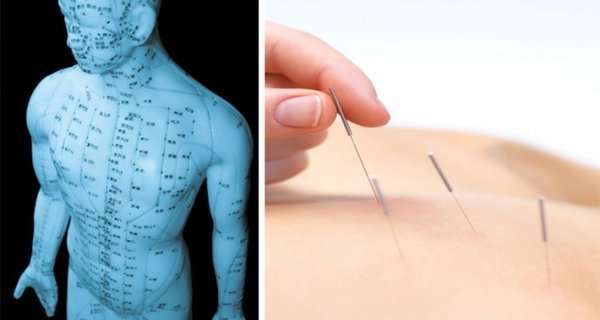 Acupuncture points are considered to be a myth, or at best debateable. Some studies have demonstrated that it doesn’t really seem to matter where needles are placed, or even if they’re placed at all, so long as the patient believes them to be true. But what do acupuncturists say? Acupuncture is a form of Chinese medicine. Acupuncture works by inserting very thin needles into some of about 670 standard acupressure points. These points start at the crown of the head and go all the way down to the big toe. These points are located along what acupuncturists call a ‘meridian’. Meridians are the “maps” of human energy (or chi – life force) flow that correspond to certain internal organs. By inserting needles into acupressure points, acupuncture says chi flow can be regulated. Some experiments show that acupuncture works. A recent study performed on rats demonstrated that when rat had acupuncture provided to the belly it’s cortisol levels (cortisol is a stress hormone) dropped. The experiment was performed on rats that were exposed to temporary intense cold. When rats are exposed to cold, it creates the same response that humans have to stress. Cortisol levels rise, mimicking a human under mental or emotional stress. When those rats had acupuncture applied to their stomachs (where acupuncture says stress is kept) the cortisol levels plummeted. When applied to false pressure points or not at all, the rats did not experience a lessening of cortisol levels. This is a key argument in favor of acupuncture. If only the properly applied procedure has proven effective on rats, there could be a chance that what science has considered the ‘myth of acupressure points’ may no longer be a myth. Links between rats and humans aren’t very strong, but researchers conducting the study are eager to begin new trials on human subjects. Cortisol is linked to weight gain, slower metabolism, insomnia, chronic depression, hypoglycaemia, and illness. So lowering your levels can be tremendously beneficial.